We’re happy to announce three upcoming events designed with career development in mind. Friday July 28 at Stanford: Japan-US Innovation Awards Symposium: in addition to keynote speakers Cylance and Preferred Networks, investors Floodgate (Ann Miura-Ko), DCM (David Chao), and Geodesic (Ashvin Bachireddy) will share insights on taking startups global. Pokemon and Niantic will talk about their collaboration – Pokemon Go. Both Michi and Jon will be there as panel moderators. Tuesday August 1 in San Francisco (DG717): What I’ve Learned, with Wireless Pioneer Jim Omura. As educator, entrepreneur, CEO, and strategist, Dr. Jim K. Omura has influenced generations of students, engineers, and entrepreneurs. Now at work on his memoirs, Jim will share insights from his career as professor at UC LA; serial Silicon Valley entrepreneur, including co-founder of Cylink Corporation, which went public in 1996; and most recently as Technology Strategist for the Gordon and Betty Moore Foundation, where he managed $600M in grants promoting access to communications technology. 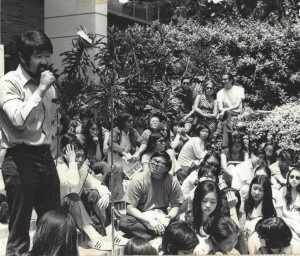 Jim will also reflect on his life growing Japanese-American in the Bay Area in a time of tumult, including time in the wartime internment camps and postwar Japantown. Jon will interview Jim. A chance to learn from one of the true greats of communications. 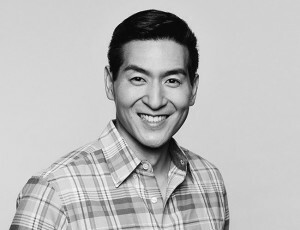 August 21 in Palo Alto: What I’ve Learned, with Mayfield Fund partner Tim Chang. Venture capitalist and musician Tim Chang was born in the US to Taiwanese parents, and has spent time in Japan, Korea and China. Now managing partner at the Mayfield Fund, Tim will talk about making the jump from automotive engineer to MBA to venture capitalist with investments in the US, India and China, and exits in wireless, gaming and devices. Jon will interview Tim, and may or may not refer to their time playing in a band together in Tokyo. Summer is here – and with it, family roadtrips, heat and wildfire and massive Antarctic chunks. To paraphrase The Most Interesting Man – stay cool, my friends, stay cool.